Build awesome paintings brick by brick! Every LEGO-loving kid has at least one huge bin of bricks – the sets are built, dismantled, and typically never built again – and this book gives them dozens of ways to reuse them in fun projects that range from easy to challenging. 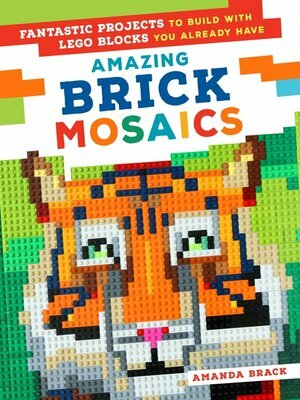 Featuring a simple yet elegant mosaic technique, step-by-step instructions, and full-color photographs for making 25 cool two-dimensional pictures, Amazing Brick Mosaics offers unique projects that will delight any LEGO enthusiast. AMANDA BRACK has a passion for drawing and illustration, and enjoys the creativity of working on a wide variety of projects in her freelance career. She currently lives in Boston, Massachusetts.